A celebration of what makes the Bold North uniquely bold! See for yourself why the weather is a favorite topic of conversation among Minnesotans, and exactly how we not only embrace the infamous weather, but have fun with it. Whether it’s the season of clean, crisp winter winds or colorful, damp summer breezes, Minnesotans know how to thrive in the temperamental climate of the upper Midwest. 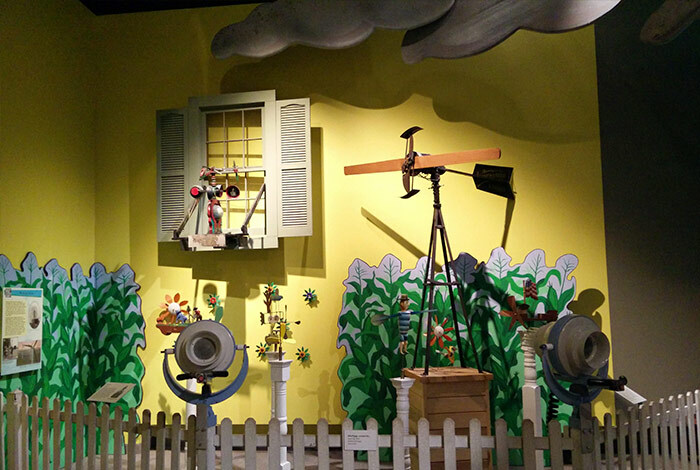 Weather Permitting brings Minnesota's theater of seasons to life, illustrating the ways its citizens cope with perpetual highs and lows as they dress for, play in, battle, talk about, and survive the weather. 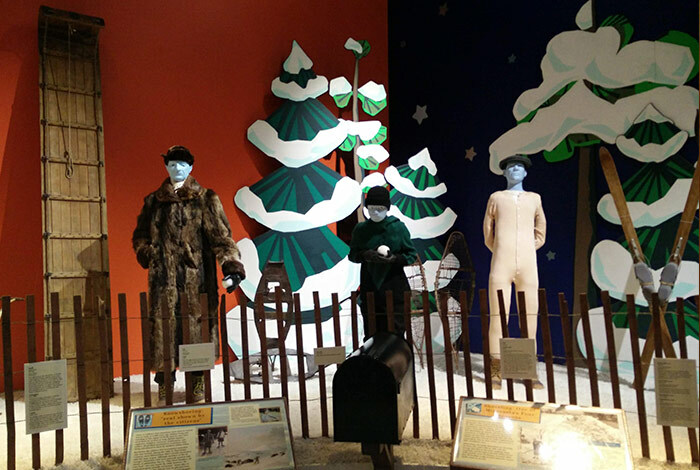 An array of environmental settings and cleverly clothed mannequins from the MNHS collections present the ordeals, rituals, and memories of Minnesota weather, now and throughout history. Experience the state's challenging climate, from overcoming — and celebrating — its bone-chilling winters to basking on the sunny shores of its 10,000 lakes. From St. Paul's Winter Carnival to snowmobiling to ice fishing, Minnesotans find ways to have fun outside no matter what the weather. Peek into a vintage ice-fishing house and explore the frigid charms of ice fishing. 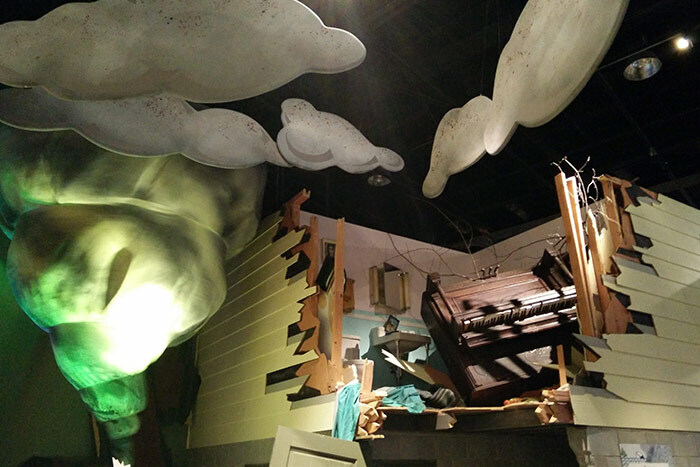 Hurry into a recreated 1960s basement to wait out the Fridley tornado. 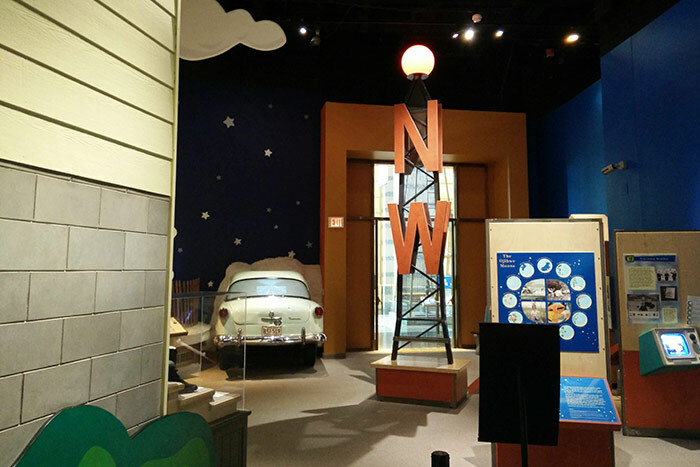 Learn how the Weatherball became a downtown landmark and a common word in the local vocabulary. 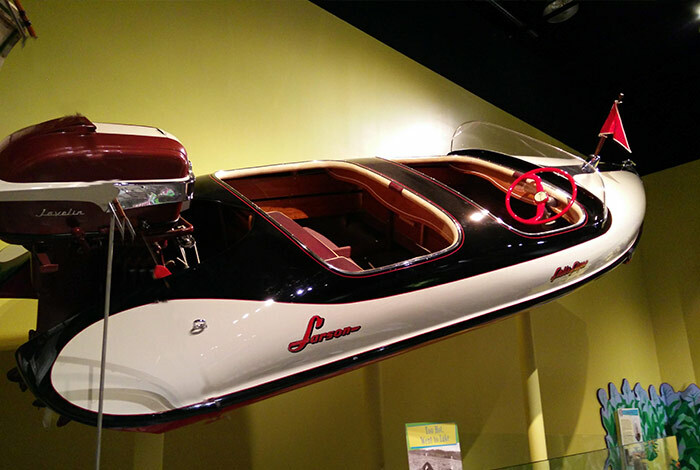 Then step into sunnier times and see a 1956 model "Falls Flyer," the unique molded fiberglass boat with a twin cockpit and round hull, inspired by Charles Lindbergh's first airplane. 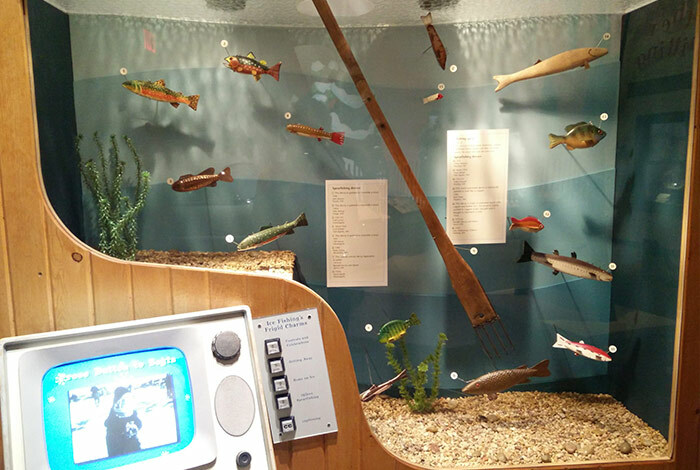 Ralph Samuelson's original water skis remind visitors that among our own 10,000 lakes is the birthplace of waterskiing. And after a day on the lake, traditional cookouts and camping take center stage. You’ll have a range of emotions as you explore the collage of Minnesota weather experiences over time, from enjoying the celebrations to surviving the ordeals.